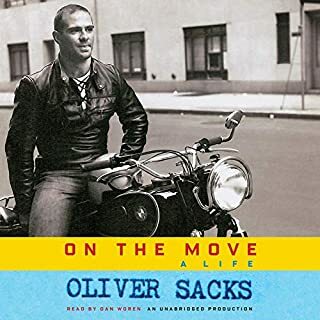 Oliver Sacks' compassionate, compelling tales of people struggling to adapt to different neurological conditions have fundamentally changed the way we think of our own brains, and of the human experience. In Musicophilia, he examines the powers of music through the individual experiences of patients, musicians, and everyday people. 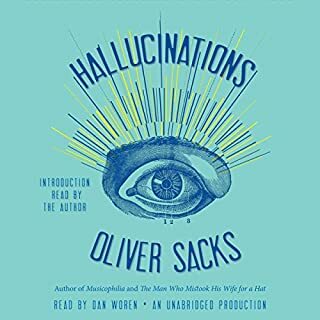 He explores how catchy tunes can subject us to hours of mental replay, and how a surprising number of people acquire nonstop musical hallucinations that assault them night and day. Yet far more frequently, music goes right: Sacks describes how music can animate people with Parkinson's disease who cannot otherwise move, give words to stroke patients who cannot otherwise speak, and calm and organize people whose memories are ravaged by Alzheimer's or amnesia. This book is a must for all music lovers. 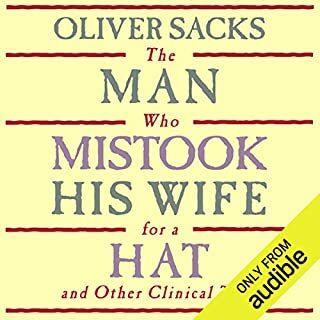 Readers of Sacks' previous works will recognize his wonderful style that has managed to popularize neurology. 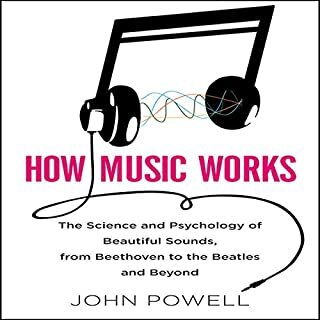 This book covers both normal and pathological reactions to music. My only grumble is that he provides far too many examples of musical hallucinations which caused the book to drag a little. The other topics (and there are many of them) are covered in just the right detail. The narrator is superb and does justice to this marvelous work. is when he removes himself (and his ego) from the narratives and simply brings neurological science to the laymen in clear, easy-to-understand terms and still does not dumb things down or oversimplify. This book is the best of Sacks. He explores all the things that can go right, and wrong, in the brain in regard to music, demonstrating that there are numerous areas of the brain dedicated to understanding and processing music, and thus, I believe, shows Pinker to be wrong when he said, "music is simply 'cheesecake for the brain' and has no evolutionary value..." He does this latter best when he demonstrates the direct link between language and music and how one probably evolved from the other--that is, that music serves as a very real form of communication, even without words. I almost never comment on narrators--but this one was very good! I'm already a big fan of his take on the world, so accepted the following two issues you might need to be aware of: 1)There are occasional repetitions. 2)The scientific citations, easy to gloss over while reading a paper page, aren't served that well by the listen-only format--not that gripping... But what interesting material!! The style is overwhelmingly anecdotal,so it's not that challenging to follow. He explores the interplay of brain anatomy/function and the musical ability or appreciation--how they influence each other.His fondness for the people whose stories he tells is clear. The narrator is quite good, I thought. Even my fiction only friends found this book fascinating. I've actually listened to this book several times I found it so captivating. I had no trouble with the reader and Sacks deals with far more than tinnitus, all sorts of fascinating disorders and just what music means to we humans. I can't think of one flaw to this book except that it ends. Highly recommended! extremely interesting, some of it almost unbelievable. makes one rethink what music is all about and how humane a quality it is. the missing star of my rating is due to the annoying mentioning throughout the book of other books by Mr. Sacks. after a while this becomes too much of an annoying sales pitch. a regular bookmarked bibliographical list should have been enough. the narration gets a 4 star too. it's very OK but not outstanding. Well, entertainment is only one of many reasons to get this book. I have been sharing the inspirational and just flat-out amazing stories with friends, colleagues, students and family. Sacks is a good writer who does not overwhelm or, at the other end, trivialize his material. Also, the reader of this book has a fantastic voice, rich and well-modulated. You will be well-rewarded with this book. Expected more "Why?" and less "How?" It provides tons of anecdotal evidence that music is innate human nature. I heard this book after Steven Pinker's "Blank Slate", so I expected a similar style of "theory, anecdotal evidence, scientific explanation". Musicophilia provides "theory, anecdotal evidence, little or no explanation". Despite this perceived shortfall, I'm glad that I listened to it. Dr. Sacks has broadened and deepened my appreciation for music, and added perspective to my self--perception. I love to listen to a great variety of music genres, but I'm not able to sing or play instruments very well. After his book, I no longer feel insecure about it. 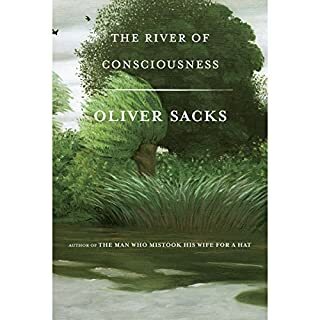 I've been an Oliver Sacks fan for a long time, and this latest work is as good as the rest. I've been inspired to train myself to develop absolute pitch. There are parts of the book that are very technical, and develop as text for medical journals. But, as usual, his science is balanced with great humanity. 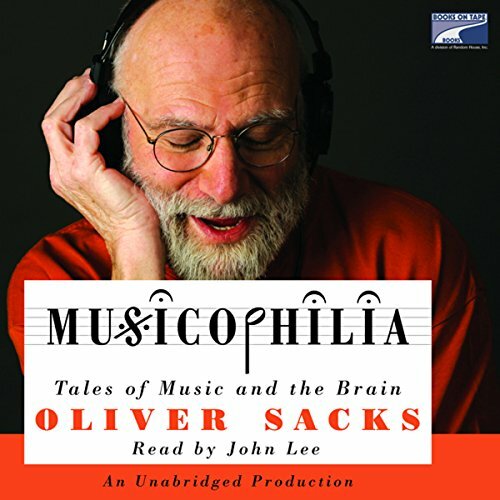 The book is basically a compendium of case studies of various people and patients with interesting music-related disorders and/or abilities, with Oliver Sacks's commentary sprinkled in, but it's written with a narrative trail connecting the stories, so it's easy to follow, and it is densely packed with interesting neurological science tidbits to keep any layman with the faintest interest in neurology happy. John Lee's performance also did not disappoint. I did not notice any irregularities in the recording, and Lee's voice is very pleasant to listen to. 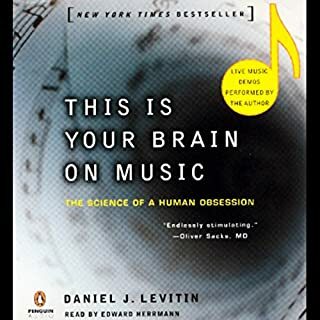 I would highly recommend this audiobook to anyone with an interest in music or neurology.